A new crisis has emerged. On Sept. 9 in Australia, fresh fruit in supermarkets was found to contain sewing needles. Although the needles were mainly found in strawberries, they were also found in apples, mangos and bananas, according to the BBC. Who is the culprit behind this needle crisis? Recently, a young boy in South Wales was arrested under the claim that he placed needles inside some strawberries. “Obviously in the last few days we found a young person has admitted to a prank, including putting needles in strawberries,” said NSW Acting Assistant Commissioner Stuart Smith. However, the young boy only admitted to placing some of the needles in the strawberries. That, along with the large number of contaminated strawberries, makes it very possible that the contamination was the scheming of multiple culprits. It is very possible that while only one person started the fiasco, as it became viral, more people began to contribute. Nonetheless, he will be facing 15 years of jail time due to legislation passed on Sept. 20 regarding food tamperers. More than one hundred reports have been filed, although only two people have been hospitalized due to the needles. On Sept. 17, a 34-year-old father filed a false claim that his daughter ate a contaminated strawberry. This leads to the question of how many of the claims are actually legitimate. How has Australia been combatting this crisis? Major supermarket chain Woolworths took sewing needles off of its shelves to alleviate this problem. Queensland authorities now offer a $100,000 reward for anyone who provides information about the culprits. In addition, Coles and Aldi, two other major supermarket chains, have taken strawberries off of their shelves. Citizens aren’t the only ones who’ve been affected by the sewing needles in the strawberries. Farmers have been forced to stop the shipment of their strawberries to supermarkets in an attempt to alleviate the crisis. The Queensland government offers a $1 million assistance package to all struggling farmers, but it is very probable that their debt will amount to a much larger amount. “The bottom line is there are farms out there that are going to be going into next year with debt. 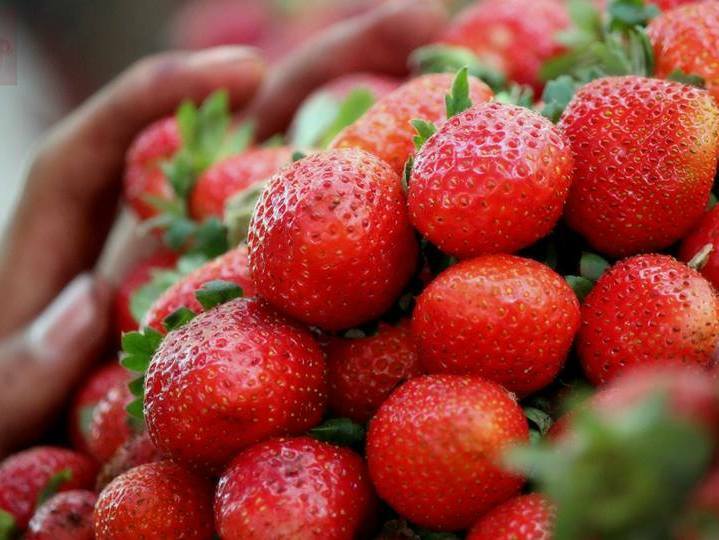 The bottom line is there will be farms out there that do not have enough money to move forward into next year’s season,¨ Mindy Schultz of LuvaBerry strawberry farm said, according to the Guardian. While the crisis is mainly occurring in Australia, the problem has also spread to New Zealand, where the Countdown supermarket chain received infested Sunday the Choice Brand strawberries from Australia. “At Countdown we take food safety very seriously and we have withdrawn any remaining Choice strawberries from sale from Countdown, SuperValue and FreshChoice supermarkets while we investigate this with our suppliers,” said the supermarket chain, according to CNN. Overall, the disaster should not be taken as a joke. The economic and social implications put Australia as well as neighboring countries in danger. ¨It’s not a joke. It’s not funny. You’re putting the livelihoods of hardworking Australians at risk and you’re scaring children,” Prime Minister Scott Morrison said.